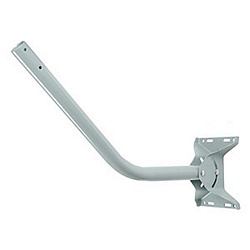 This heavy-duty all-weather steel mount can be used to support your outdoor antenna on building walls or roofs. Provides 90 degrees of adjustable tilt, and mounting tube can be reversed for further standoff. Requires mounting hardware.